The American Prize is pleased to announce composer semi-finalists for 2013 in the band and chamber music categories. "A significant number of candidates in each division made the preliminary cut," commented chief judge David Katz. "As we begin to move towards selecting finalists, and ultimately the winners and runners-up in each division, it will surely prove to be a very tight and exciting race, and a difficult final choice for our judges. The depth of talent on display is truly impressive." To know the exact day and time when finalists will be announced, please "like" our Facebook page, where the information will be posted. The American Prize is pleased to announce composer semi-finalists for 2013 in the orchestra and choral categories. The American Prize is pleased to announce the 2013 finalists for the Chicago Oratorio Award. Four of the listed individuals, one each of soprano, alto (mezzo), tenor and bass (baritone) will appear under the baton of Maestro David Katz in concert with the Chicago Bar Association Symphony Orchestra & Chorus, performing Bruckner's Te Deum on May 15, 2013 at St James Episcopal Cathedral, Chicago. Mr. Katz expects to complete the selection process early next week; winners will be contacted individually by email to accept their selection. After all four have responded positively, the winners will be announced on this blog. Semi-finalists for The American Prize Friedrich & Virginia Schorr Memorial Awards, 2013, will be announced here shortly. Due to a minor computer error, several names were inadvertently left off the list of 2013 semi-finalists for The American Prize Chicago Oratorio Award. The corrected list is below. We apologize for the error. We expect to announce finalists for the Chicago Oratorio Award later this week. The exact date and time of the announcement will be published first to our facebook page. Four of the listed individuals, one each of soprano, alto (mezzo), tenor and bass (baritone) will appear under the baton of Maestro David Katz in concert with the Chicago Bar Association Symphony Orchestra & Chorus, performing Bruckner's Te Deum on May 15, 2013 at St James Episcopal Cathedral, Chicago. WHY do so MANY people apply, and then apply AGAIN, to win The American Prize? Not just winners, but runners-up, finalists and semi-finalists are among those who have submitted materials to be evaluated two, three or even four years in a row. "Certainly, individuals and groups apply to win," said David Katz, chief judge of the competitions, "but I think there are many more reasons than that, and they point to why The American Prize has become such a unique and valued national arts competition." Here are some of the reasons many contestants apply, and apply again. LOCAL, REGIONAL and NATIONAL RECOGNITION that truly makes a difference: When an individual artist or ensemble is honored by The American Prize for excellence, whether as a winner, runner-up, finalist, or even semi-finalist, they receive national validation difficult to achieve elsewhere. Contestants tell us that visibility in the competitions drives local attention and appreciation for individual artists, for ensembles and conductors, and can help lead to larger audiences, additional recognition, better recruitment and even larger donations. "Winning the American Prize has generated an increased interest in all the concerts of my orchestras. Our audiences are larger and more generous (since the concerts are free, we accept donations at the door). It has encouraged all of my orchestras to excel in their performances and raised the level of their participation in the ensembles." "Receiving third place in The American Prize in Orchestra Performance—College/University Division in 2012 was indeed an honor for the Wheaton College Symphony Orchestra (IL) and myself. It was not only a privilege to have been adjudicated and chosen by distinguished judges, but the award has garnered much recognition and praise for the orchestra in the local press and from alumni, administration and faculty through its mention in college publications. 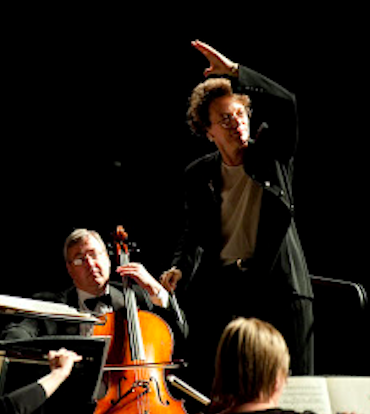 The award has been a significant affirmation of our orchestra program." "Your award means a great deal and is very timely to our organization (Oconomowoc Chamber Orchestra), which is young and establishing our presence. We have two orchestras, an avocational group and a professional ensemble. The American Prize Award helped us gain recognition in a way that we simply couldn't do ourselves, and the community noticed. For our board, it made them aware that we are one a correct path, and that what we do in a small community can have a place in our larger world. Professionally, it is extremely fulfilling to have others in the field recognize the work. I am deeply impressed. I am certain the national awareness of your program will continue to grow, as you are reaching into many communities to help them grow! We at OCO look forward to helping your Award be visible in our community for years to come." UNBIASED FEEDBACK: All applicants to The American Prize who achieve finalist status or higher receive written evaluations from one or more of the distinguished judges on our panel. These individuals are persons as varied in skills and training as we hope the winners of The American Prize will be. They bring real-world experience to their task, knowing the complexites, rewards and challenges individual artists, conductors and ensembles face in 21st century America. Each is charged to provide evaluations that we hope the contestants themselves will deem respectful, perhaps insightful, and of real value. FAIRNESS: "As I watch the applications arrive each competition season from all across the country, I never have any idea who the ultimate winners will be," commented Maestro Katz. "There is always sense of discovery—of finding a gem of an ensemble or a tremendously talented individual artist or music director in an unexpected place, or a group or conductor in a major city achieving extraordinary results. When a familiar name crosses my desk because they have applied before, there is that added excitement to see and hear what they are up to this season—how good they will be be, how much they have achieved, what repertoire they have tackled—and, in the back of my mind the most interesting question: "how will my fellow judges rank their submission this year in relation to all the others?" LONGEVITY: Although The American Prize is awarded annually, the benefits of success in the competitions do not expire with the turning of the calendar. Many TAP winners, runners-up, finalists and semi-finalists continue to trumpet their placement in the contests for years after the original result. Often, the TAP logo remains on their website long after the competition year, a real "seal of approval," —and success in the contests continues to be highlighted prominently in their publicity. The American Prize means that much. 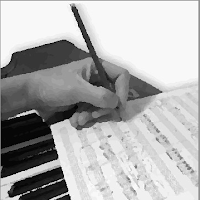 And should an individual artist, conductor or ensemble apply and place highly a second or third year, that recognition points to a level of ongoing quality that can be a career boon throughout the community, regardless of where the artists are based geographically. CERTIFICATES: Every contestant who achieves semi-finalist status or higher in the competitions of The American Prize receives a individualized certificate, suitable for framing. Now that The American Prize has found a vendor to provide frames personalized to the needs of the contestant, we expect that many more will be hanging in offices, studios, rehearsal locations, lobbies and board rooms all across the country. CASH PRIZES: A single cash award in each category is presented. Cash prizes range from $100 to $500, depending on the year, the competition, and the number of entrants. As the contests and our fund-raising efforts grow, we expect to be able to award larger prizes in more categories. 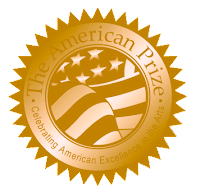 (The American Prize has awarded more than $10,000 in prize money since 2010.) Winning cash is fun, of course, but it is clear that the benefits of The American Prize extend to far more than dollars.